The first edition of The Wall Street Journal is published July 8. An afternoon newspaper, it covers four pages and sells for two cents. The Dow Jones Industrial Average is officially launched. The Ticker, the real-time newswire and the fundamental source for news in the investment community, is announced. The Journal, now six pages, adds a morning edition. The Journal’s “Review & Outlook” column, which still runs in the Journal today, appears for the first time. It initially was written by Charles Dow. Dow Jones is acquired in 1902 by the leading financial journalist of the day, Clarence Barron. Over the next 30 years, Barron recruits and develops a generation of journalists who further Dow Jones’s reputation for excellence. Those journalists would lead the company successfully through the Great Depression and into a new era of prosperity and progress. Barron’s, America’s premier financial weekly, is founded; its first editor is Clarence Barron. A motor-driven version of the “Ticker” – a key innovation in the delivery of real-time news – was developed by the Dow Jones engineering department. The first issue of the Pacific Coast Edition of the Journal rolls off the presses on Oct. 21, eight days before the great stock-market crash. Dow Jones is incorporated in New York. It is now known as Dow Jones & Company after the comma is dropped from the former Dow, Jones & Company. Afternoon edition of the Journal ceases. Chief Executive Officer Casey Hogate begins a series of changes during the next decade that ultimately result in the metamorphosis of the Journal into a new kind of daily newspaper. One of these changes is advent of the “What’s News” column. Created by Bernard “Barney” Kilgore, that column was the first major summary of the news, a precursor to omnipresent summaries and digests on the Internet today. Barney Kilgore takes over as managing editor of the Journal in 1941 and as CEO of Dow Jones in 1945, setting the company on a new and revolutionary course. In print, Dow Jones isn’t satisfied reporting “what happened”; our publications redefine journalism to include “what it means.” In business, the Journal would harness new technologies such as microwaves to open new markets to readers in distant cities. The Journal wins its first Pulitzer Prize for editorials by William Henry Grimes. Now with regional editions spanning the U.S., the Journal counts more than one million subscribers for the first time. Innovation would define Dow Jones in the 40 years after Kilgore’s death in 1967 as the news moved into space and online. Dow Jones pioneered the use of satellites to transmit newspaper pages and make possible a daily newspaper on truly national scale. A decade before the Internet, Dow Jones was storing and coding its news digitally so that it could be accessed online. Factiva’s content and technology tools set the standard for innovation and quality in the news and information industry. The Journal, Newswires and Dow Jones Indexes built successful franchises in Europe and Asia. Dow Jones Newswires begins a major expansion outside the U.S. that ultimately puts journalists in every major financial center in Europe, Asia, Latin America, Australia and Africa. 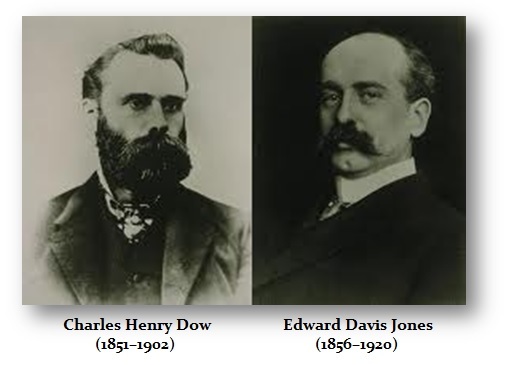 Dow Jones buys the Ottaway newspaper chain, which at the time comprised nine dailies and three Sunday newspapers. A joint venture with Bunker Ramo is the advent of electronic delivery of news from Dow Jones Newswires in an age before personal computers. It would also mark the company’s pioneering efforts to store news and information electronically, a business that would evolve into Factiva. The Asian Wall Street Journal is launched. The Wall Street Journal Europe is launched. The initial version of the WSJ.com appears online. Content won’t be all that distinguishes the Journal on the Web. Dow Jones insists that its differentiated content is worth paying for and thus built the Internet’s most successful paid news Web site. The Dow Jones Industrial Average is licensed for the first time, setting in motion a successful new business called Dow Jones Indexes. The Journal resumes publication on Saturday with the debut of Weekend Edition. Factiva is acquired, extending the company’s suite of business-to-business products. Dow Jones is acquired by News Corp., the world’s most global media company. After News Corp. acquires Dow Jones in December 2007, and the horizons expand again. Now part of a global media company which includes Fox, SKY, HarperCollins and newspapers from London to Sydney, Dow Jones reinvents the Journal for a new era of news. Now the Journal covers more political and general news along with its leading business coverage. Fresh investment delivers new game-changing business intelligence tools as well as new markets in Europe and Asia. At a time when other media companies are retrenching, Dow Jones is moving aggressively to build on the success of the past and to capture the opportunity of the future. The Journal is reconceived as a more complete source of news with expanded coverage of national and international events as well as more opinion, culture and sports. Audiences expand. In addition to growth in paid circulation at the Journal, there are new local language products from Newswires in Spanish, Dutch and Arabic. WSJ., the Journal’s glossy lifestyle magazine debuts world-wide. Ottaway Newspapers Inc. is renamed the Dow Jones Local Media Group. The company moves its headquarters to midtown Manhattan where at 1211 Avenue of the Americas it joins its sister companies at News Corp. under one roof. The Journal launches a Japanese-language website. Dow Jones tightens its focus on its core news and information business with the contribution of its Indexes unit to a joint venture operated by CME Group. The Journal expands its print and digital offerings with a regional section called Greater New York, an enhanced weekend publication called WSJ Weekend and new editions for users of tablet computers. Dow Jones installs a 4.1 megawatt solar power system at its South Brunswick, N.J., campus. It is the largest solar power system at a U.S. corporate site when it begins operations. The launch of DJ FX Trader marks a significant new presence for Dow Jones in the foreign-exchange market.